*AUDI OF OKLAHOMA CITY*, LOCAL TRADE, ACCIDENT FREE ON CARFAX, * 405-748-8001 *. Odometer is 23052 miles below market average! 24/32 City/Highway MPG Awards: * 2009 KBB.com 10 Best New Road Trip Vehicles **Buy with confidence from Audi of Oklahoma City! Our pre-owned vehicles are among the cleanest, most well maintained in the Oklahoma City Metro. **Shop with a family owned business with over 60 years experience in the automotive industry and find out why Bob Moore is one of the most trusted names in the business. Priced below KBB Fair Purchase Price! BLUETOOTH TECHNOLOGY, POWER SUNROOF, PREMIUM LEATHER TRIMMED SEATS, REAR BACK-UP CAMERA, LOCAL TRADE-IN, SMART-KEY TECHNOLOGY. Vehicle has been through a multi-point inspection by an ASE Certified Mechanic. Oil & Filter changed. All fluids topped off. This vehicle has been fully detailed and is ready for immediate delivery. Free CARFAX Vehicle History Report. Bob Moore finances all credit types including Bad Credit and First Time Buyers with No Credit. Get Pre-Approved Today at www.bobmooredodgechryslerjeep.com. Quit clicking and call now! Our Internet Team is Available Now to answer all of your questions. Respectfully, Bob Moore. ***Bob Moore Kia***, BLUETOOTH, SUNROOF/MOONROOF, LEATHER, BACKUP CAMERA, IPOD ADAPTER, Se Habla Espanol! Marca o mandanos un mesage a el 405-512-9379. Odometer is 8705 miles below market average! 19/27 City/Highway MPG Vehicle has been through a multi-point inspection by a Certified Mechanic. Oil & Filter changed. All fluids topped off. This vehicle has been fully detailed and is ready for immediate delivery. Free CARFAX Vehicle History Report. We have banks that finance all credit types including Bad Credit and First Time Buyers with No Credit. Get Pre-Approved Today at www.bobmoorekia.com. Priced below KBB Fair Purchase Price! CARFAX One-Owner. Clean CARFAX. Vehicle has been through a multi-point inspection by an ASE Certified Mechanic. Oil & Filter changed. All fluids topped off. This vehicle has been fully detailed and is ready for immediate delivery. Free CARFAX Vehicle History Report. Bob Moore finances all credit types including Bad Credit and First Time Buyers with No Credit. Quit clicking and call now! Se Habla Espanol, We FINANCE!!!! Respectfully, Bob Moore. Please call 1-888-378-5165 to check availability. Priced below KBB Fair Purchase Price! Awards: * 2011 IIHS Top Safety Pick (built after 1/11) * 2011 KBB.com Top 10 Family Cars Vehicle has been through a multi-point inspection by an ASE Certified Mechanic. Oil & Filter changed. All fluids topped off. This vehicle has been fully detailed and is ready for immediate delivery. Free CARFAX Vehicle History Report. Bob Moore finances all credit types including Bad Credit and First Time Buyers with No Credit. Get Pre-Approved Today at www.bobmooredodgechryslerjeep.com. Quit clicking and call now! Our Internet Team is Available Now to answer all of your questions. Respectfully, Bob Moore. 4-Wheel ABS Brakes, ABS brakes, Alloy wheels, Compass, Illuminated entry, Power Adjustable Driver's Pedals, Remote Keyless Entry, Remote keyless entry. 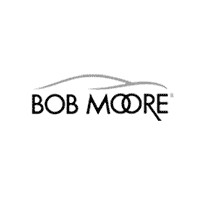 For nearly half a century Bob Moore Cadillac has served the Oklahoma City metro area for any and all automotive needs. We are the largest Cadillac dealership in the state for both sales and service. We feature multiple Mark of Excellence winners on our sales and service staff along with 5 GM Master Technicians and 15 GM Certified Technicians to make sure you and your vehicle receive the service you deserve! Recent Arrival! ***Bob Moore Kia***, BLUETOOTH, IPOD ADAPTER, No accidents on Carfax!, Se Habla Espanol! Marca o mandanos un mesage a el 405-512-9379. 25/34 City/Highway MPG Awards: * 2010 KBB.com Best 10 Family Vehicles Vehicle has been through a multi-point inspection by a Certified Mechanic. Oil & Filter changed. All fluids topped off. This vehicle has been fully detailed and is ready for immediate delivery. Free CARFAX Vehicle History Report. We have banks that finance all credit types including Bad Credit and First Time Buyers with No Credit. Get Pre-Approved Today at www.bobmoorekia.com. ***BOB MOORE SUBARU*** NO ACCIDENT HISTORY ON CARFAX, 4WD/AWD, CALL NOW! !, GREAT DEAL! !, Power windows, Remote keyless entry. 23/28 City/Highway MPG Bob Moore Subaru in Oklahoma City, OK treats the needs of each individual customer with paramount concern. We know that you have high expectations, and as a car dealer we enjoy the challenge of meeting and exceeding those standards each and every time. Allow us to demonstrate our commitment to excellence and, even more importantly, our commitment to YOU!! ***BOB MOORE SUBARU*** 4WD/AWD, SUNROOF/MOONROOF, NAVIGATION/NAVI/GPS, BLUETOOTH COMPATIBLE STEREO, CALL NOW! !, GREAT DEAL! !, Power windows, Remote keyless entry, Steering wheel mounted audio controls. Bob Moore Subaru in Oklahoma City, OK treats the needs of each individual customer with paramount concern. We know that you have high expectations, and as a car dealer we enjoy the challenge of meeting and exceeding those standards each and every time. Allow us to demonstrate our commitment to excellence and, even more importantly, our commitment to YOU!! *AUDI OF OKLAHOMA CITY*, LOCAL TRADE, * 405-748-8001 *. Odometer is 19465 miles below market average! 30/38 City/Highway MPG Awards: * 2012 KBB.com Total Cost of Ownership Awards **Buy with confidence from Audi of Oklahoma City! Our pre-owned vehicles are among the cleanest, most well maintained in the Oklahoma City Metro. **Shop with a family owned business with over 60 years experience in the automotive industry and find out why Bob Moore is one of the most trusted names in the business. *AUDI OF OKLAHOMA CITY*, LOCAL TRADE, * 405-748-8001 *. New Price! 22/35 City/Highway MPG Awards: * Car and Driver 10 Best Cars * 2011 IIHS Top Safety Pick * 2011 KBB.com Top 10 Family Cars Car and Driver, January 2017. **Buy with confidence from Audi of Oklahoma City! Our pre-owned vehicles are among the cleanest, most well maintained in the Oklahoma City Metro. **Shop with a family owned business with over 60 years experience in the automotive industry and find out why Bob Moore is one of the most trusted names in the business. ***Bob Moore Kia***, BLUETOOTH, IPOD ADAPTER, No accidents on Carfax!, Se Habla Espanol! Marca o mandanos un mesage a el 405-512-9379, CVT with Xtronic, charcoal Cloth. Priced below KBB Fair Purchase Price! 30/39 City/Highway MPG Vehicle has been through a multi-point inspection by a Certified Mechanic. Oil & Filter changed. All fluids topped off. This vehicle has been fully detailed and is ready for immediate delivery. Free CARFAX Vehicle History Report. We have banks that finance all credit types including Bad Credit and First Time Buyers with No Credit. Get Pre-Approved Today at www.bobmoorekia.com. 1-OWNER CARFAX, BLUETOOTH TECHNOLOGY, REAR BACK-UP CAMERA, LOCAL TRADE-IN, SMART-KEY TECHNOLOGY, Camel w/Premium Cloth Seating Surfaces. CARFAX One-Owner. 24/35 City/Highway MPG Awards: * 2014 KBB.com 10 Best Late-Model Used Cars Under $15,000 * 2014 KBB.com 10 Best Used Family Cars Under $15,000 Vehicle has been through a multi-point inspection by an ASE Certified Mechanic. Oil & Filter changed. All fluids topped off. This vehicle has been fully detailed and is ready for immediate delivery. Free CARFAX Vehicle History Report. Bob Moore finances all credit types including Bad Credit and First Time Buyers with No Credit. Get Pre-Approved Today at www.bobmooredodgechryslerjeep.com. Quit clicking and call now! Our Internet Team is Available Now to answer all of your questions. Respectfully, Bob Moore. **Porsche Oklahoma City**, 4WD/AWD, Sunroof, Leather, Heated Seats, Local Trade, 4WD, Camel w/Leather Low Back Front Bucket Seats, ABS brakes, Compass, Electronic Stability Control, Front dual zone A/C, Heated door mirrors, Illuminated entry, Low tire pressure warning, Remote keyless entry, Traction control. Bob Moore Auto Group has been a family owned company since the 1950's, founded with the guiding principles of hard work, great customer service, honesty and respect. Our mission is to be a people focused company that values our customer relationships above all. We know you have expectations, and as a car dealer we enjoy the challenge of not only meeting them, but exceeding those standards each and every time. Allow us to demonstrate our commitment to excellence by logging in to Bobmooreporsche.com or call us at (877) 740-8005. **Porsche Oklahoma City**, Sport Package. Bob Moore Auto Group has been a family owned company since the 1950's, founded with the guiding principles of hard work, great customer service, honesty and respect. Our mission is to be a people focused company that values our customer relationships above all. We know you have expectations, and as a car dealer we enjoy the challenge of not only meeting them, but exceeding those standards each and every time. Allow us to demonstrate our commitment to excellence by logging in to Bobmooreporsche.com or call us at (877) 740-8005. Recent Arrival! ***Bob Moore Kia***, BLUETOOTH, IPOD ADAPTER, CARFAX 1-Owner Vehicle, No accidents on Carfax!, Se Habla Espanol! Marca o mandanos un mesage a el 405-512-9379. Priced below KBB Fair Purchase Price! 25/36 City/Highway MPG Awards: * 2014 KBB.com 10 Tech-Savviest Cars Under $20,000 * 2014 KBB.com Brand Image Awards Vehicle has been through a multi-point inspection by a Certified Mechanic. Oil & Filter changed. All fluids topped off. This vehicle has been fully detailed and is ready for immediate delivery. Free CARFAX Vehicle History Report. We have banks that finance all credit types including Bad Credit and First Time Buyers with No Credit. Get Pre-Approved Today at www.bobmoorekia.com. CARFAX One-Owner. Clean CARFAX. Odometer is 34533 miles below market average! Vehicle has been through a multi-point inspection by an ASE Certified Mechanic. Oil & Filter changed. All fluids topped off. This vehicle has been fully detailed and is ready for immediate delivery. Free CARFAX Vehicle History Report. Bob Moore finances all credit types including Bad Credit and First Time Buyers with No Credit. Quit clicking and call now! Se Habla Espanol, We FINANCE!!!! Respectfully, Bob Moore. Please call 1-888-378-5165 to check availability. New vehicle pricing includes all offers and incentives. Tax, Title and Tags not included in vehicle prices shown and must be paid by the purchaser. While great effort is made to ensure the accuracy of the information on this site, errors do occur so please verify information with a customer service rep. This is easily done by calling us at 888-355-4373 or by visiting us at the dealership.